Occasionally you’ll hear a song on the radio that you haven’t heard in ages. It takes you back to a time you associate with that song and most times it floods you with great memories. Today’s artist, in general, creates a positive vibe with his music. While he’s been a household name for five decades, today’s featured album surprised even me with its overall popularity and sales. A little over a year ago, I wrote about the early life and career of William Martin Joel. While that focused on the Piano Man album, life and music certainly didn’t stop for the soft rock artist. After the glowing success, Billy moved to Los Angeles to begin work on the follow-up record. It’s now historically known as one of Joel’s weakest albums with Joel himself publicly stating he isn’t a fan of it. Spending roughly 14 months on the west coast, Joel became disenchanted and moved back to New York. Hoping to be inspired to the relocation, Joel tried to capitalize and create another album. After seeing modest success twice in a row, the label and critics began to wonder if the magic he once had was escaping. Columbia Records thought to give Joel one more shot, and change up the production staff. He was introduced to a man named Phil Ramone, and that relationship became the start of something special. 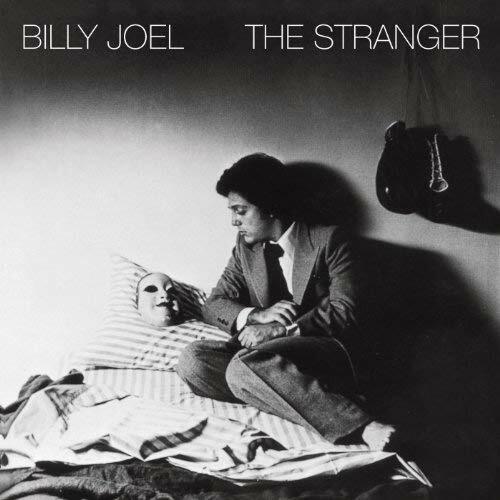 The first album they worked on together was The Stranger and was released in September of 1977. The bulk of the tracks had already been written, and Ramone did a great job of putting a fresh sound onto tracks that Joel had written years back. The few remaining songs began as just fragments, and because the feel of recording had turned so fun, the entire band would just riff until they felt they had something. Four singles would go on to chart on the Billboard Hot 100, with the highest seeing #3. The album itself spent six weeks at number 2 on the Billboard 200 and the sales were furious. To date, it has sold nearly 15 million copies in the U.S. alone, with another 10 million worldwide. Critically, this album is considered Joel’s masterpiece. Rolling Stone has it at #70 on their 500 greatest albums of all time. No one thought Joel would put an album out bigger than Piano Man—but boy were they wrong. This album not only put Joel on a larger map, but cemented his legacy to this day. Half the tracks featured here are mainstays on pop radio 40 years later. Billy Joel simply wasn’t a big artist for me growing up. Oddly, I think I was introduced to him in the order his songs were released. For me, listening to this today is shocking, only because I truly had no idea this album had so many hits on it. I had to double check I wasn’t mistaking this for a mid-career greatest hits compilation. Each song on this album seems to tell a story, and lyrically has to be one of his better works. It’s easily listening to it today to see how they created a musical off of it. It puts forth a great balance of upbeat, pop standards with a couple nice ballads mixed in. I think more than anything, it showed Joel’s range as a musician and for him, showed him what he’s capable of when having fun. He hasn’t released a solo album since 1993 but still sells hundreds of thousands of records a year. It’s easy to point to this album as one of the principle reasons why. Billy Joel has sold enough albums to put him in the top 20 sold all time. He’s somewhere in the 100 to 125 million sold lifetime. Complimenting that with five Grammy Awards, he’s one of the most respected artists of all time. July 18, 2018 was even proclaimed Billy Joel day in New York to honor his 100th performance at Madison Square Garden. For that reason alone, don’t be a stranger and pick this one up today for $5 bucks. That shouldn’t dip too much into your savings for your trip to Vienna.